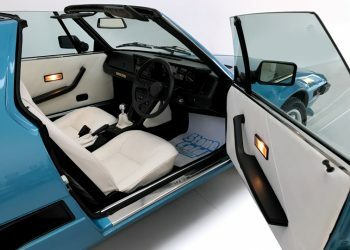 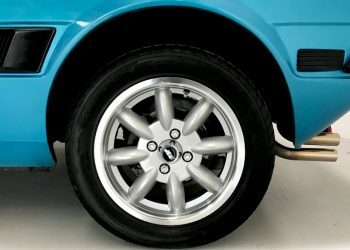 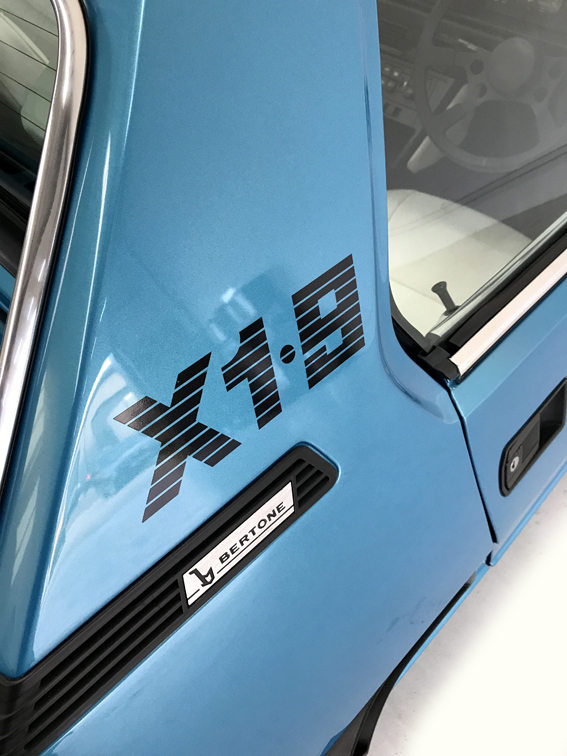 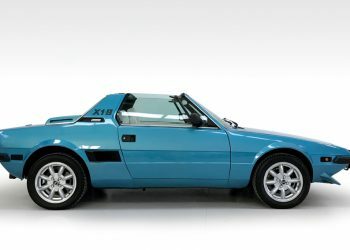 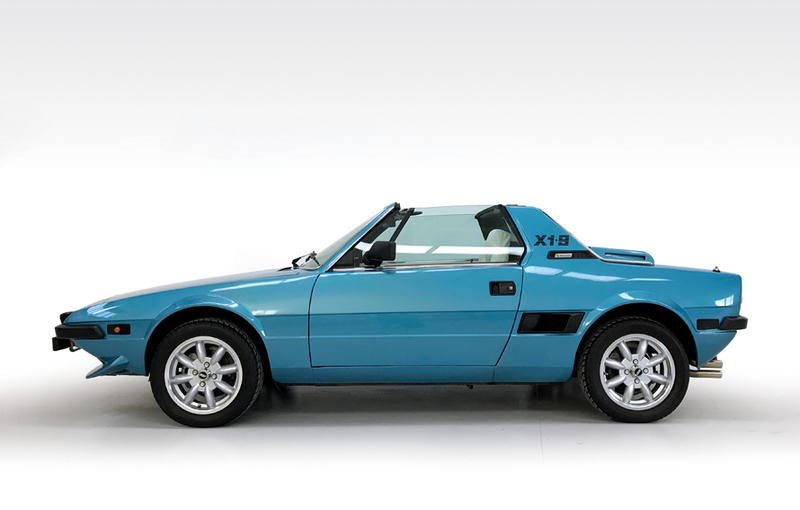 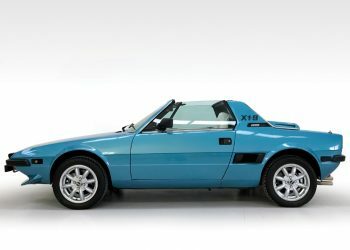 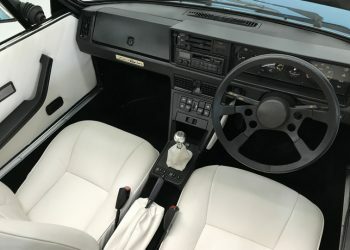 A 1985 X1/9 VS restored to look like an early example from the 1970s. 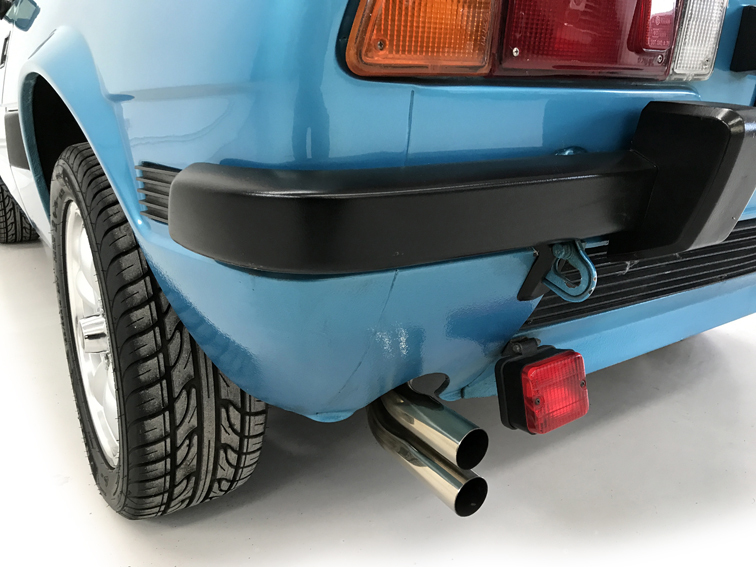 Fully restored with a bare metal respray in 2007 and at the same time converted to 1300 style quarter bumpers front and rear. 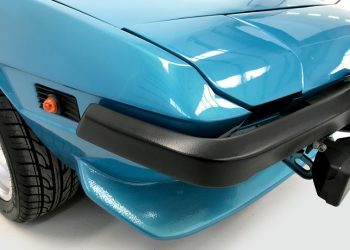 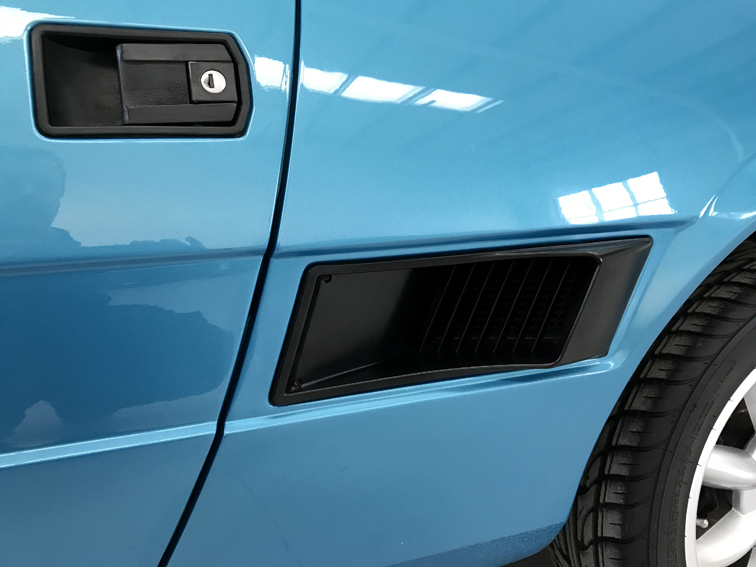 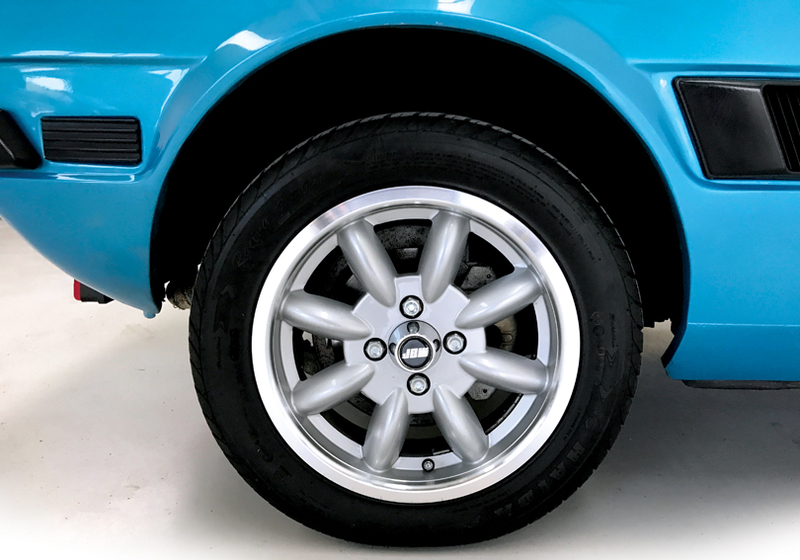 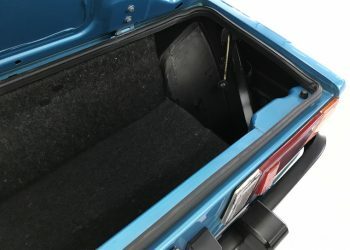 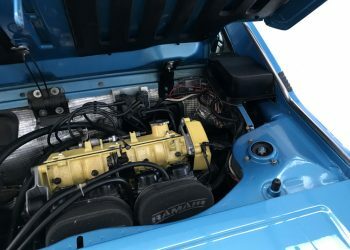 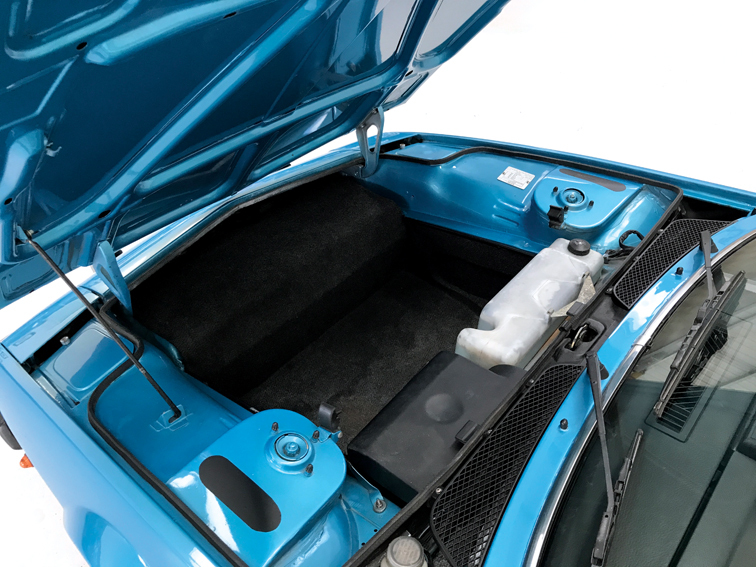 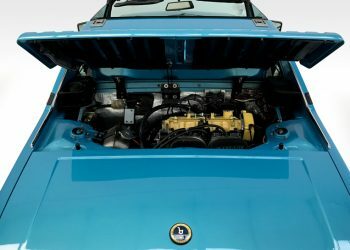 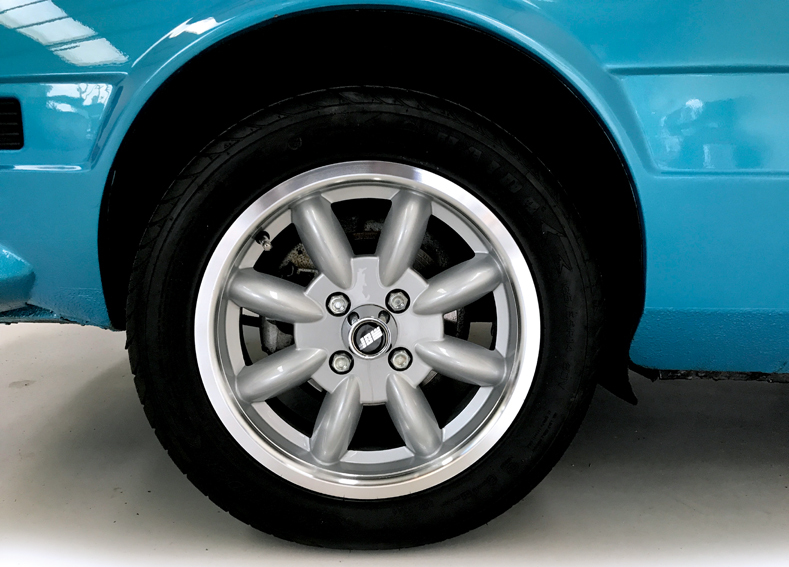 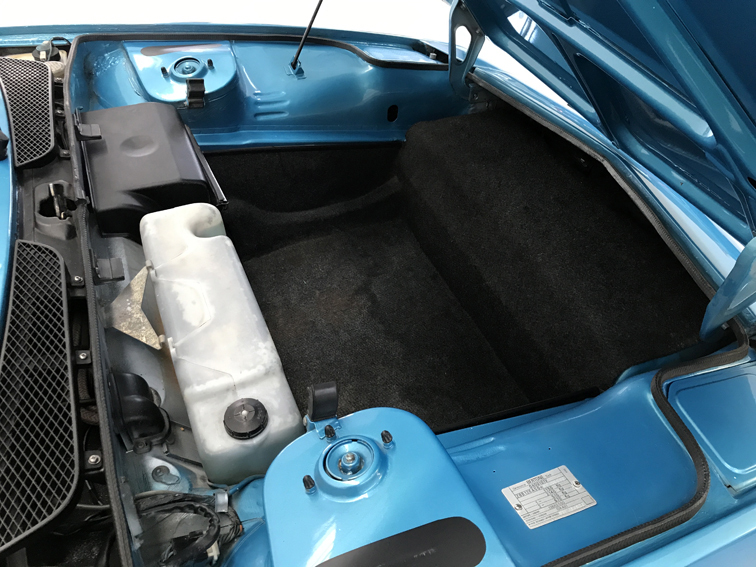 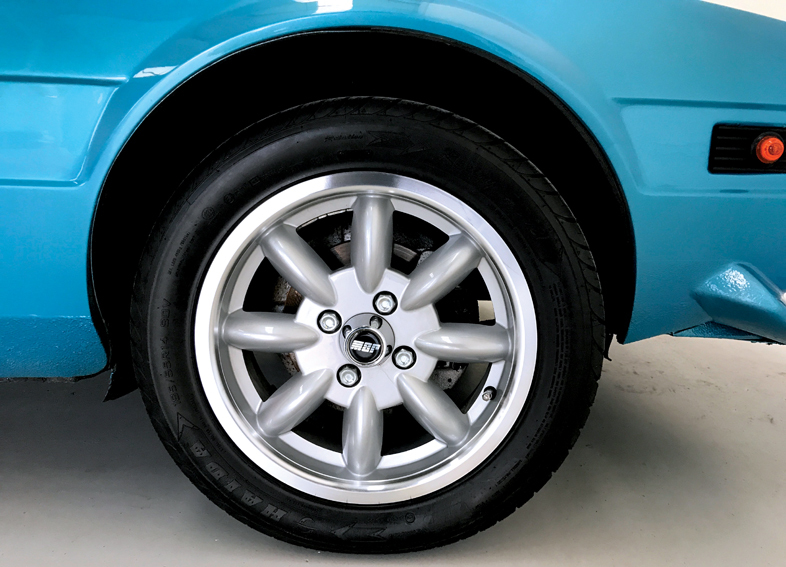 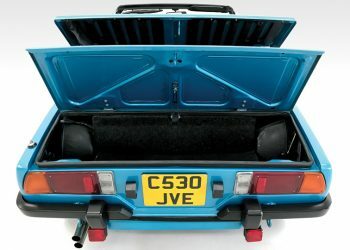 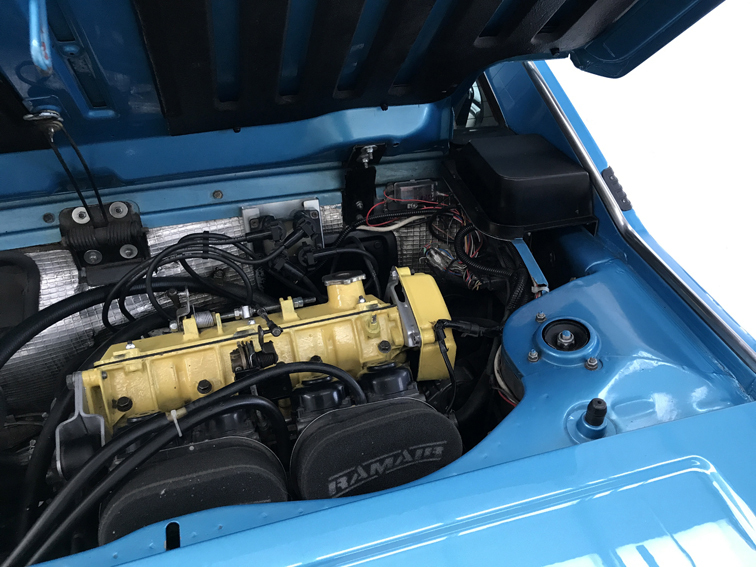 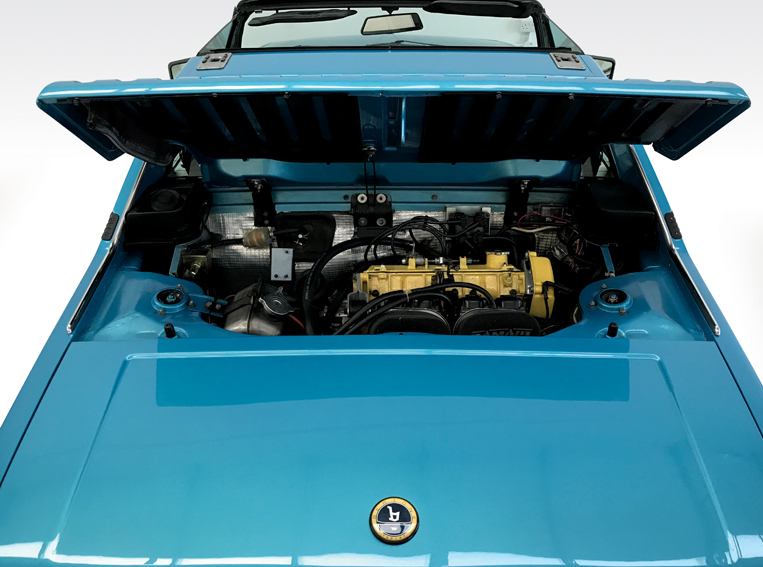 Painted Fiat Rialto blue, the car still presents in fantastic condition as it was fully zeibart rust proofed at the same time and kept in a heated garage when not in use. 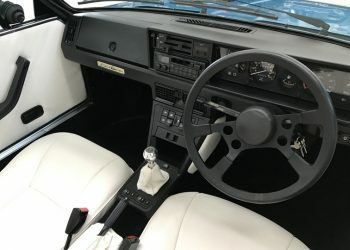 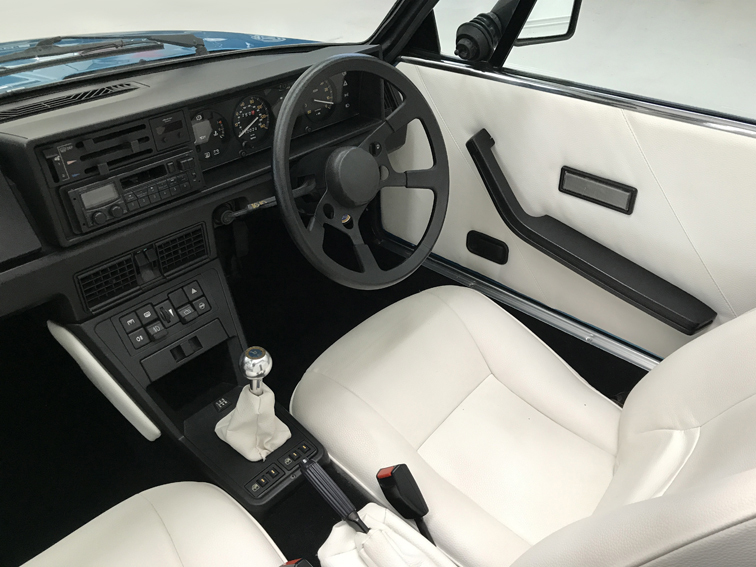 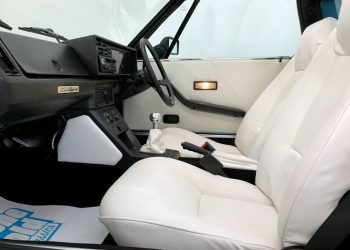 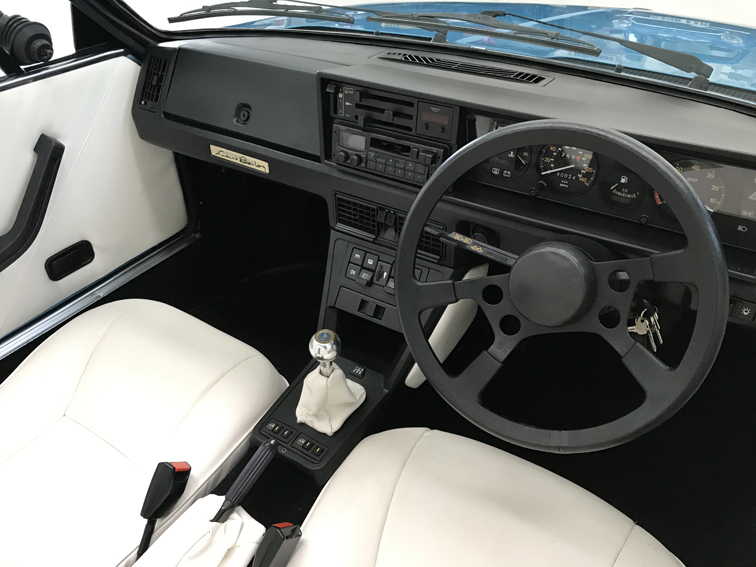 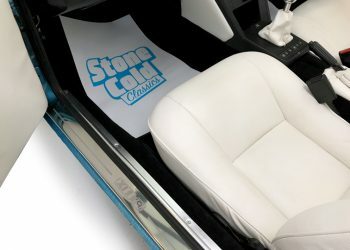 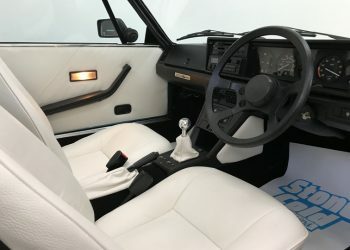 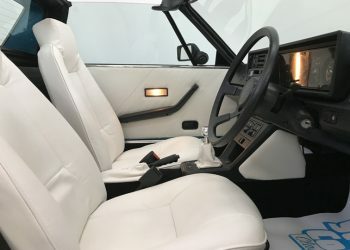 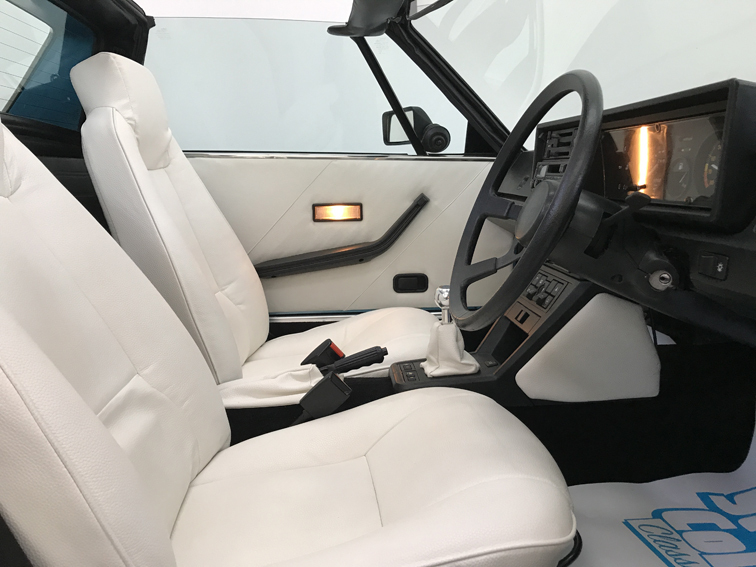 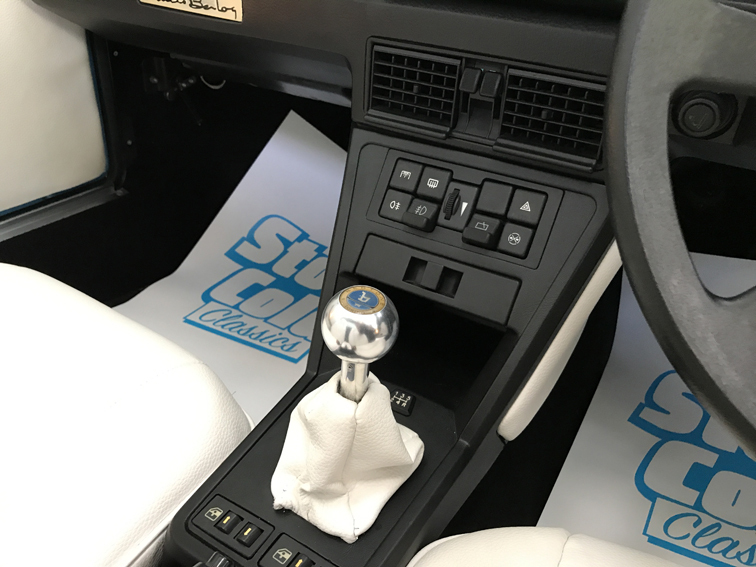 In 2015 the interior was restored with white leather interior trim, door cards and seats, which still look as-new. 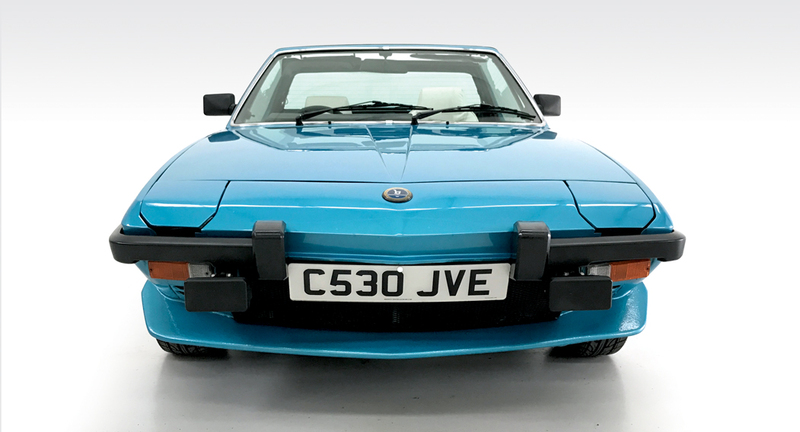 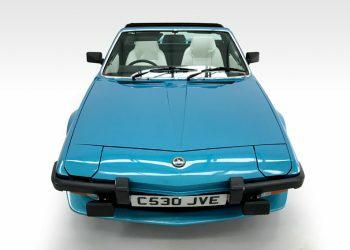 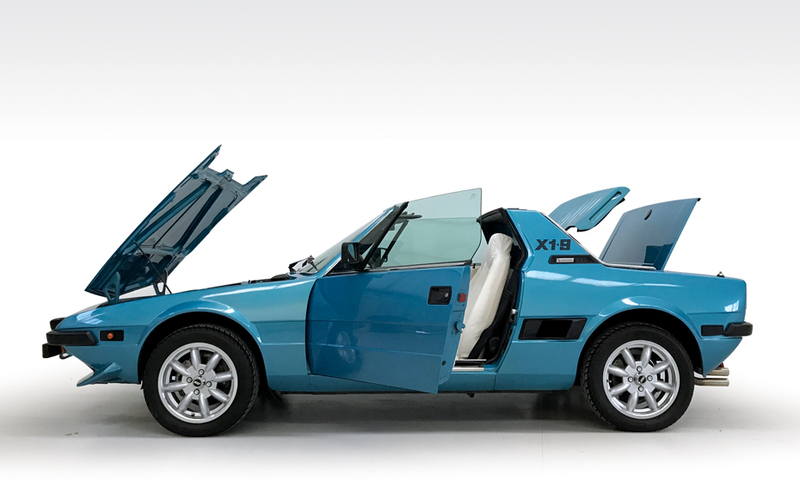 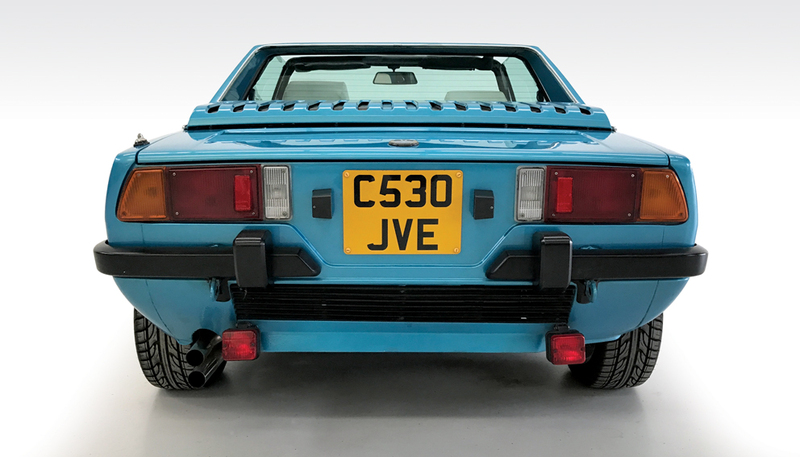 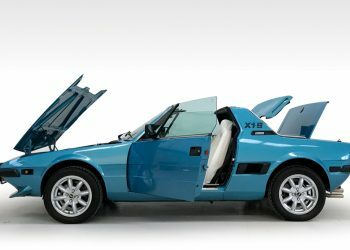 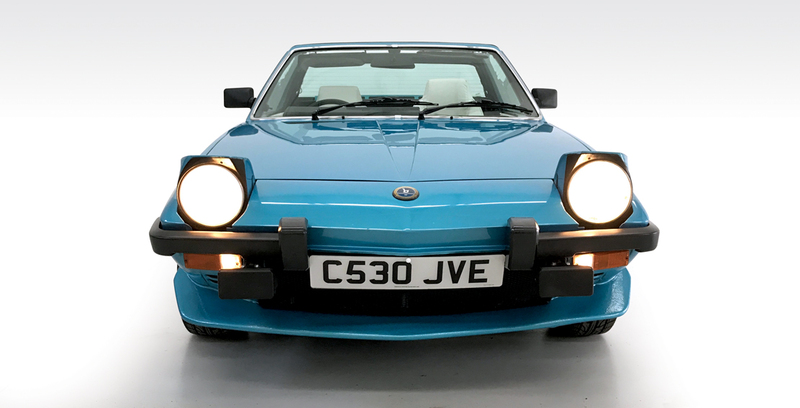 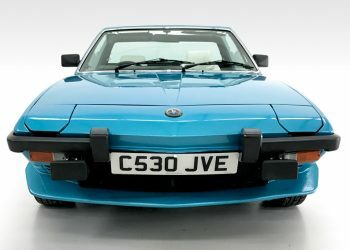 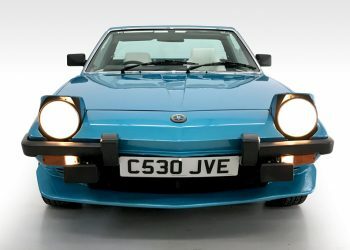 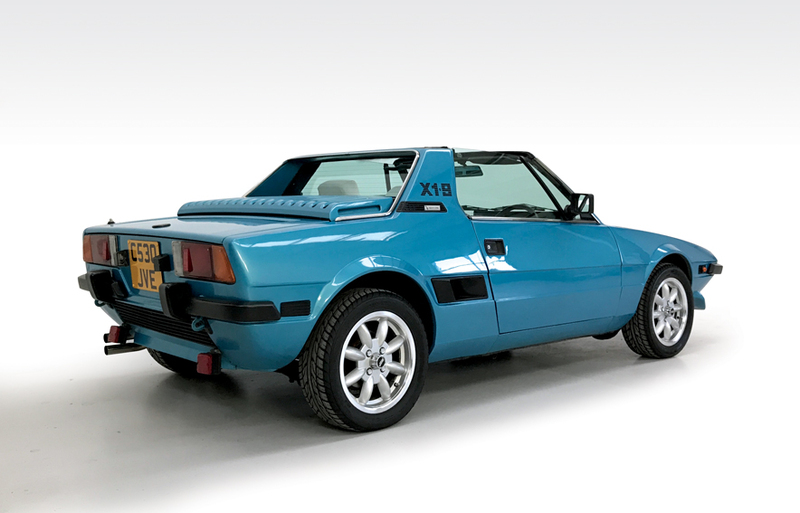 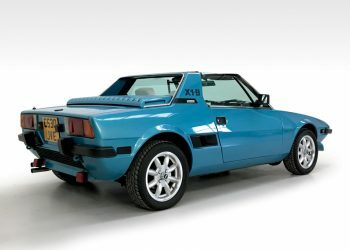 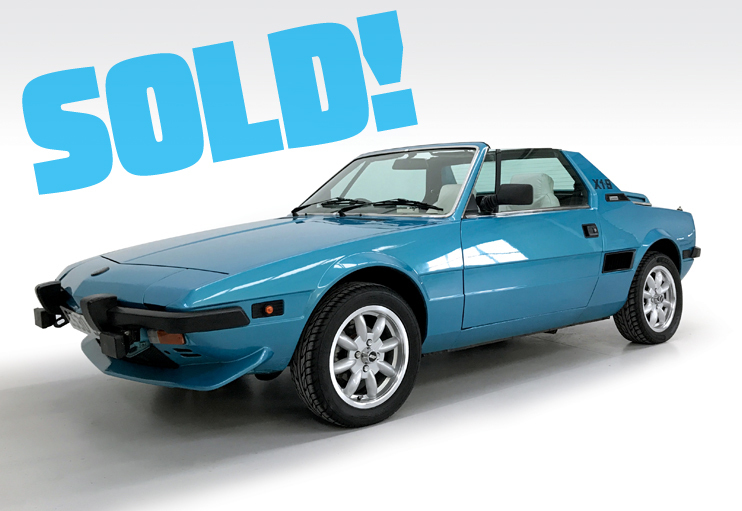 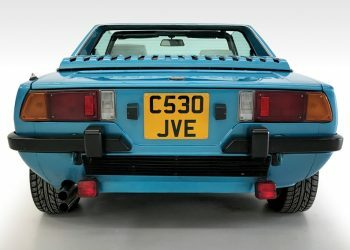 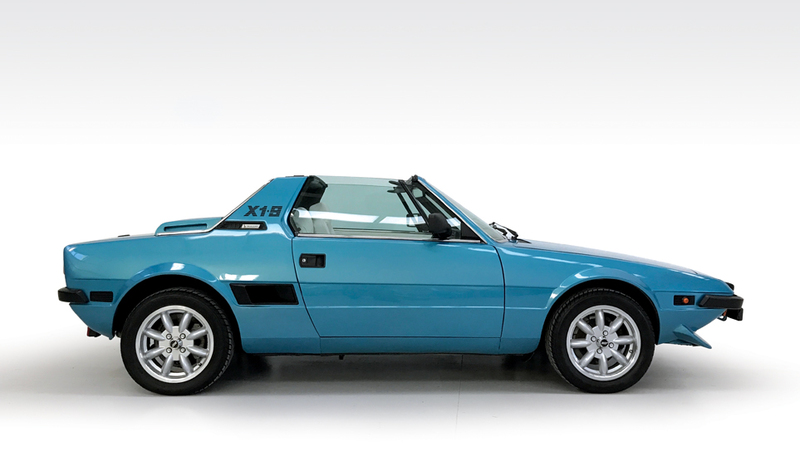 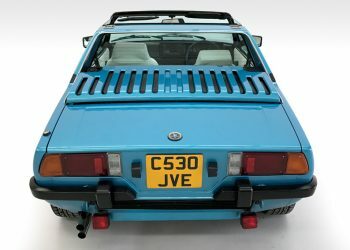 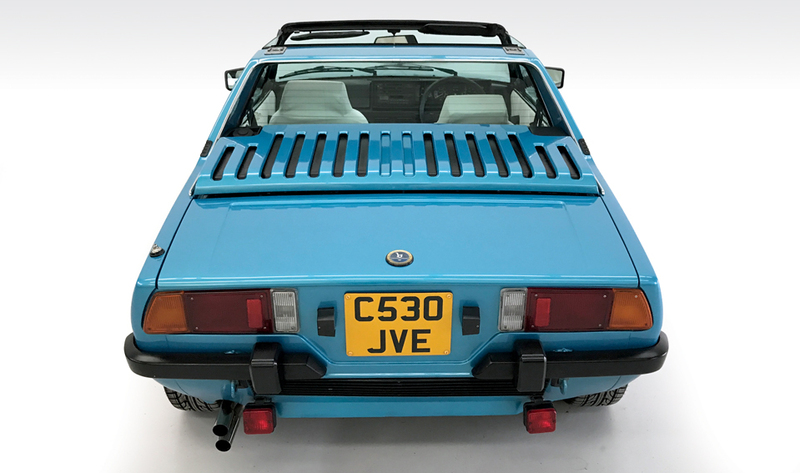 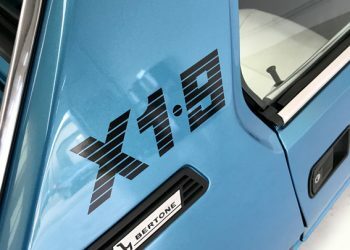 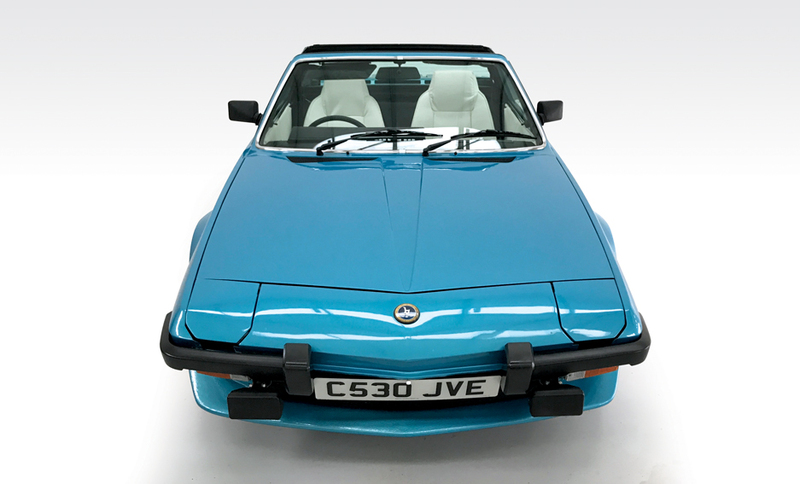 The car has 8 previous keepers on the log book and the MOT is valid until 11 May 2019. The manifold has recently been skimmed and a new choke cable installed for ease of starting. 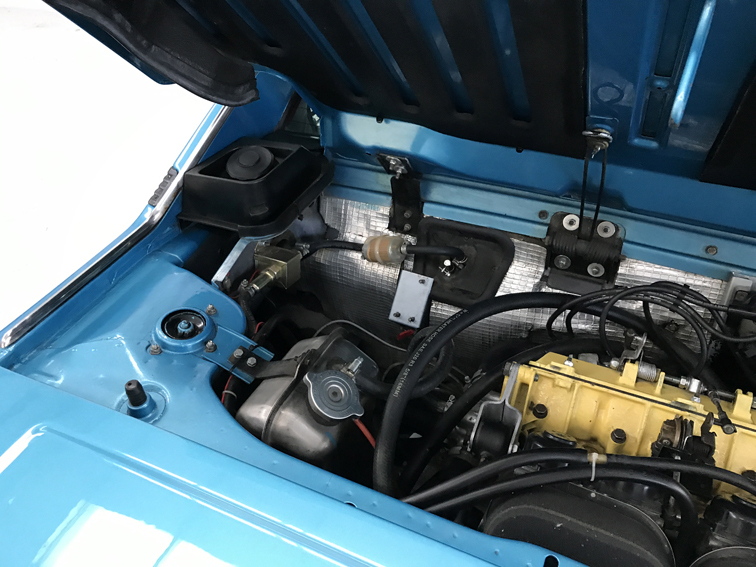 A new engine was rebuilt and rebored +40 with new pistons, rings a new big end and main bearings replaced. 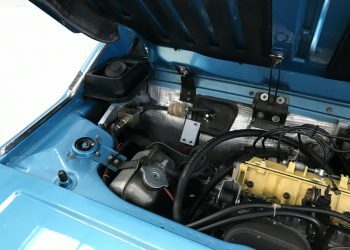 The head was pressure tested and skimmed, valves reground, ports polished and opened to suit a purpose made inlet manifold to go with a set of carburetors from a Kawasaki GS900 motorbike converted and jetted to suit. New discs pads and calipers were fitted at the same time.